Back in 2014, the Assassin’s Creed franchise could stand toe to toe with the likes of Call of Duty when it came to popularity and sales. But then Assassin’s Creed Unity was released, a game which shipped in such a buggy state that it had one of the worst launches in video game history. To be fair to Ubisoft, the company patched Unity into shape over the coming months, but the damage had already been done. Sales of its follow-up Assassin’s Creed Syndicate suffered as a result, and Ubisoft wisely decided not to release a major Assassin’s Creed game in 2016. Thankfully, though, the French video game powerhouse put out Assassin’s Creed Origins last year, a great comeback for the franchise many had thought was on its last legs. And with Ubisoft’s announcement that another Assassin’s Creed game (Assassin’s Creed Odyssey) would be hitting shelves in October this year, it seemed Ubisoft was ready to start pumping out Assassin’s Creeds on a yearly basis again. This however is not the case as company CEO Yves Guillemot revealed at Gamescom this summer, and no new Assassin’s Creed will be making its way to stores next year. Actually, the only reason Odyssey comes a year after Assassin’s Creed Origins is that both games were developed in parallel as we now know. “On Assassin’s, we had a game [in 2018] and we have one this year, but we are not going to have a full-fledged Assassin’s next year,” said Ubisoft’s CEO. “It’s just because the team were working separately, so we have two games now, one year after the other. But next year you’re not going to have a fully-fledged one”. But what about an Assassin’s Creed spin-off? Because despite not releasing a major entry in 2016, Ubisoft did actually put out the pretty good Assassin’s Creed Chronicles games that year. This won’t be the case for 2019, as the company’s top man said. “What you’ll have is lots of content coming on [Odyssey]. The team really want [sic] to give, on a regular basis, some new possibilities for play, so when you get [Odyssey] this year, you’re going to get in for a couple of years, actually”, Guillemot said. All is not gloom and doom for Assassin’s Creed fans hoping to experience new Assassin’s Creed content in 2019, though. Actually, a remastered edition of Assassin’s Creed III will come out in March 2019, letting you replay this entry set during the American Revolution. 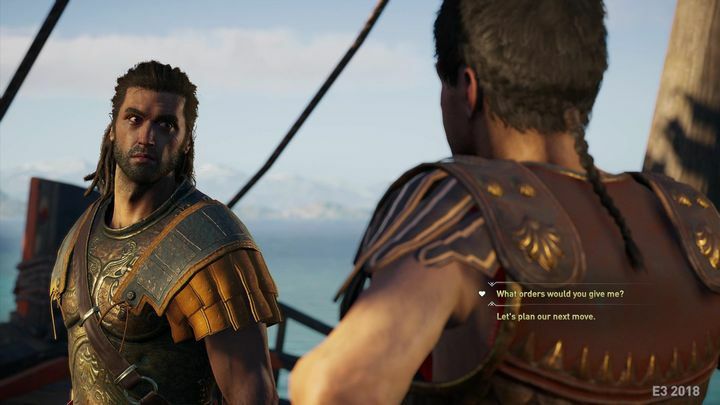 And Ubisoft is also releasing a slew of new content for Assassin’s Creed Odyssey as it recently revealed in its post-launch plans for the game, which will also be the longest game yet in the series. Also, it’s likely Ubisoft is wary of pushing too much Assassin’s Creed on gamers after 2014’s Unity fiasco, a year in which the company also unleashed the pretty good Assassin’s Creed Rogue. Plus, delaying a new Assassin’s Creed until 2020 (or even 2021) could even allow the company to launch the next game on next-generation consoles such as the PlayStation 5 as well. Ubisoft will now be focused on making sure Assassin’s Creed Odyssey is a hit this year, though, a game that’s increasingly looking like it could be one of the year’s top hits. So hopefully Ubi can deliver the goods this year, then, while it would also be a great thing if the series keeps delighting gamers in the future too. Is ‘Redfall’ the name of the next Elder Scrolls game?